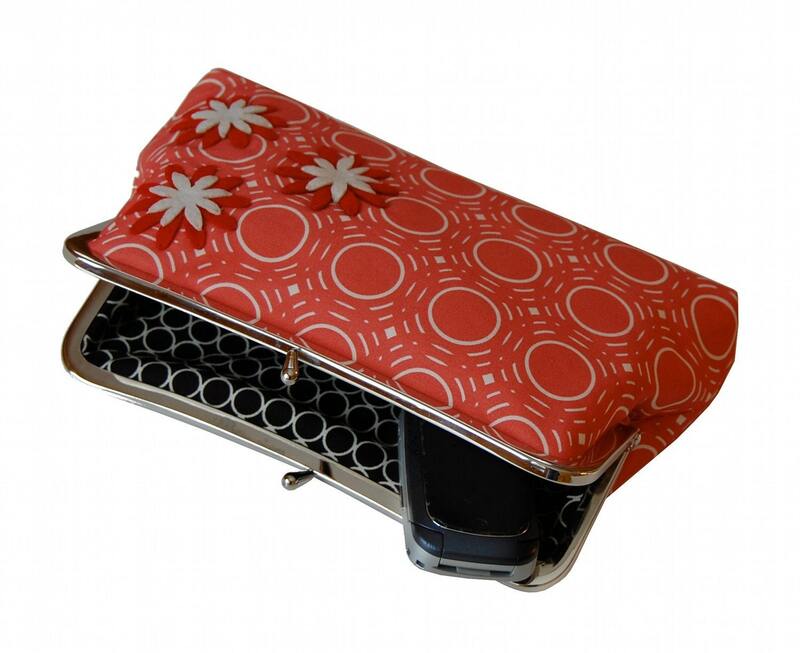 This handmade red clutch purse is truly a work of art. I hand stitched each flower onto the red floral clutch. This creates a simple but stunning geometric clutch. 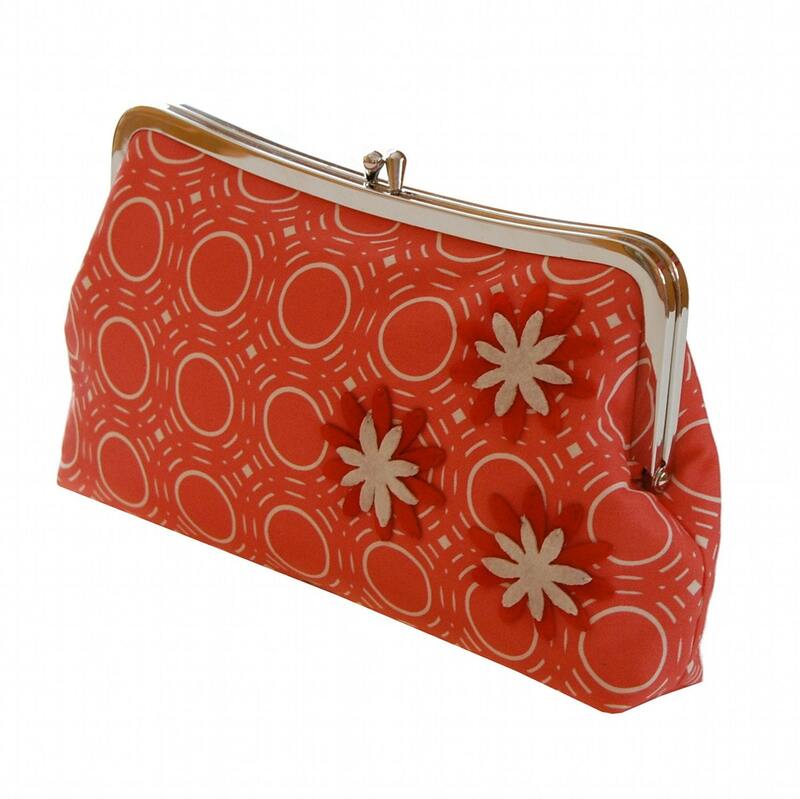 This is a red evening bag that you will be proud to own. 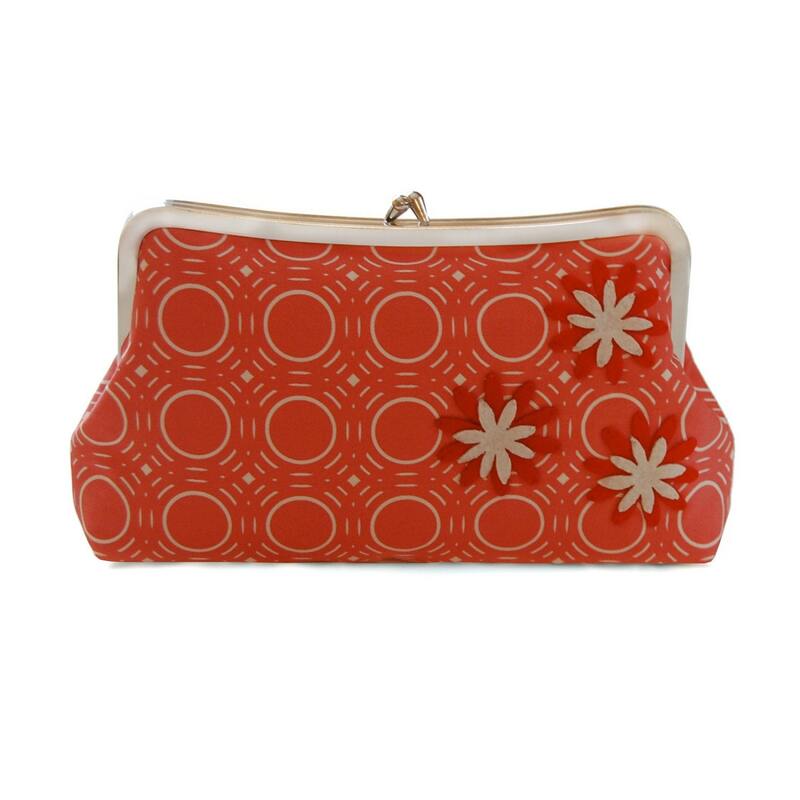 -The red fabric clutch has has a very pale red and off-white background. 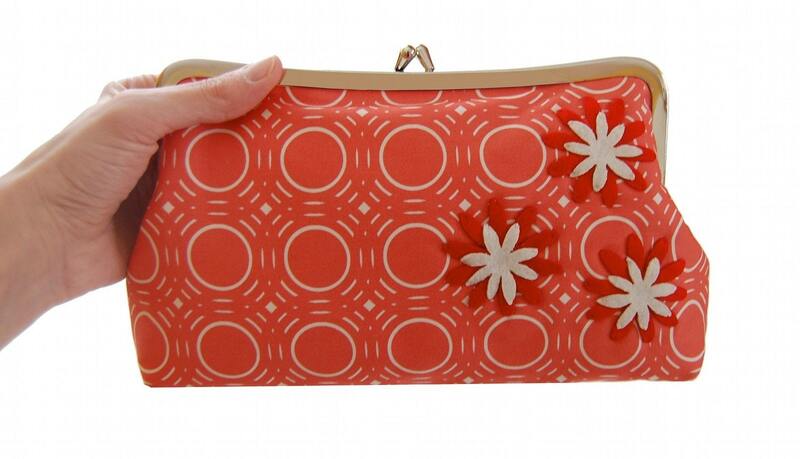 I added three felt flowers in red and white to the front of the elegant clutch. 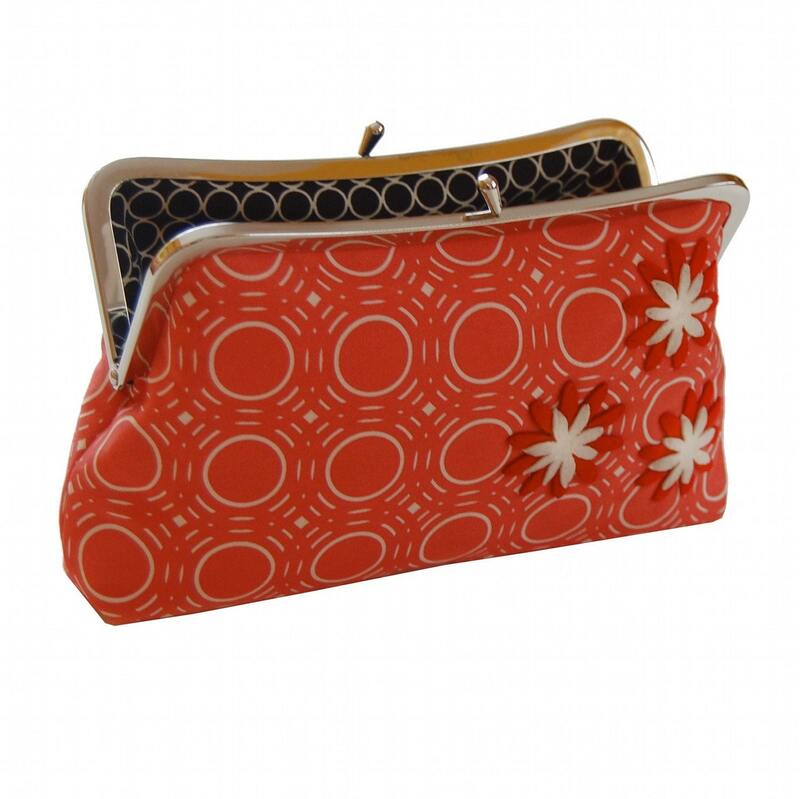 -The inside of the handmade red purse is a contrasting print with black and white circles - the color combination is gorgeous.